The striking logo of the Taprobane Tea Company is the native leopard of Sri Lanka; Panthera pardus sub-species Kotiya. This enigmatic animal, known colloquially as Kotiya ( ) in Sinhala and Chiruththai ( ) in Tamil, is the only remaining “big cat” in Sri Lanka. The Kotiya has a tawny coat with dark spots and close-set rosettes. Alarmingly, the population of the native leopard is estimated to be as little as 850 animals and in decline due to loss of habitat, hunting (including trophy hunting during the colonial era), poaching for skins and human-leopard conflicts. It is classified as Endangered by the International Union for Conservation of Nature (IUCN). 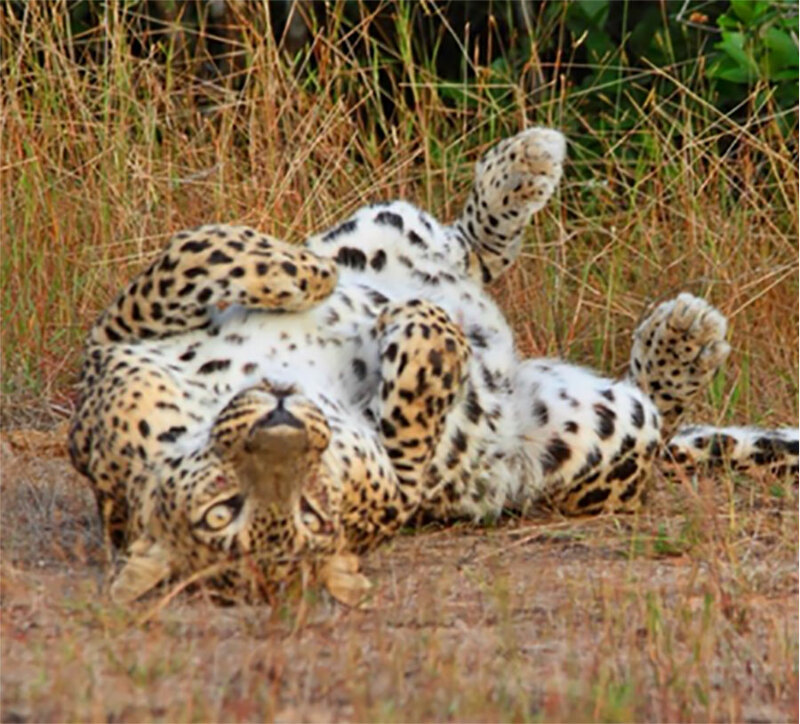 We at the Taprobane Tea Company are deeply concerned by the endangered status of the Sri Lanka leopard and we would like to help in any small way that we can. Hence we support conservation of this beautiful animal by donating to the Wilderness and Wildlife Conservation Trust, which funds the Leopard Project in Sri Lanka. 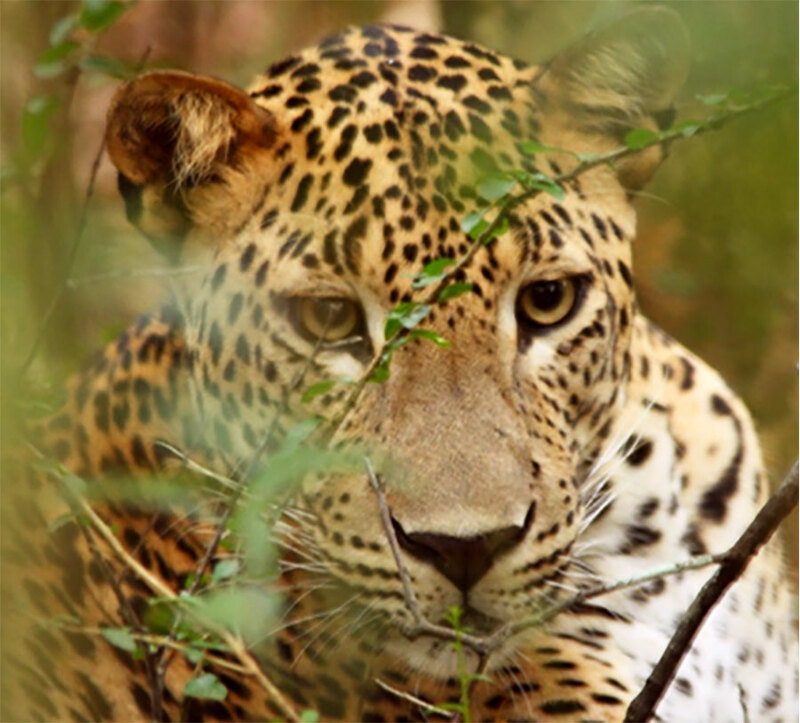 The aim of the Leopard Project is “the conservation of the Sri Lankan leopard in its natural habitat” by studying leopard ecology (including range and diet) and leopard behaviour. The amazing photos on our website of native leopards in the wild, have been taken by the talented wildlife photographer, Pujitha Dharman. Original wildlife photos can be obtained from the photographer himself by emailing pujitha35@hotmail.com. Here are some further leopard facts: Female leopards weigh around 29 kg, the equivalent of a medium sized dog. The girls have a head-to-body length of over 1m and a tail length of 80cm. Boys are much larger, weighing on average around 56 kg, although the largest can be 77 kg, so they compare in size to the largest breed of domestic dog. The head-to-body length of a male is 1.3 m with a tail length of 86 cm. The Kotiya is the largest subspecies of leopard in the world. Kotiya can be found in all habitats throughout the island but are more easily observed in Yala National Park and Wilpattu National Park. 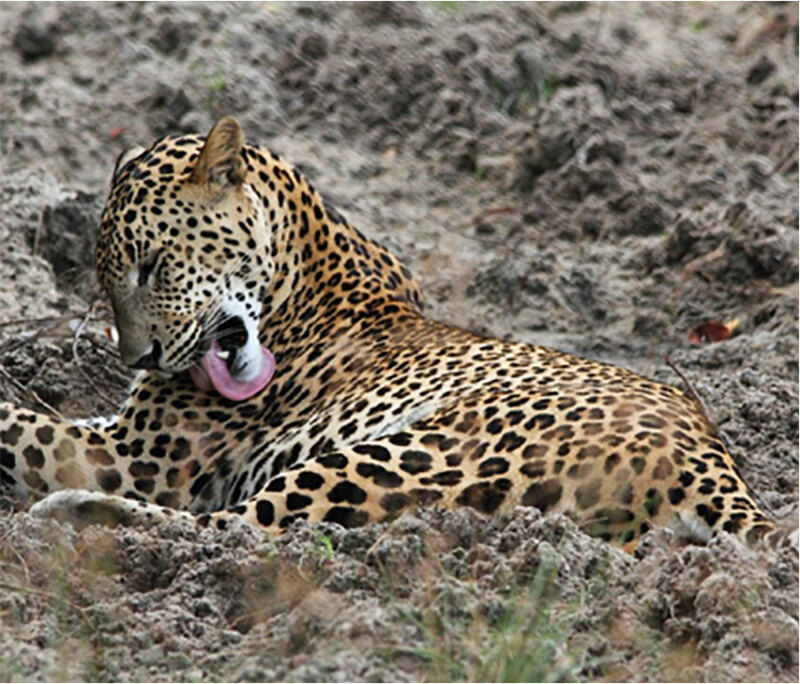 Native leopards usually hunt between dusk and dawn and their diet includes small and large mammals, birds and reptiles. They are solitary animals with overlapping territories. Females usually have a litter of just two cubs. For wholesale enquiries, please head to our CONTACT page. Subscribe to stay in touch. Copyright © 2018 Taprobane Tea Company PTY LTD. All Rights Reserved.